Niftyknits: You know, sometimes I think as Etsy sellers we're all the same. We make stuff, we sell stuff, we package it up and go to the post office. 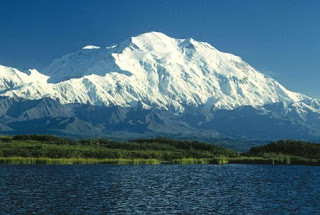 But Mary showed me the view she sees on her way to her Post Office in ALASKA! Certainly not the same as me! I absolutely love all color - currently my fav is smokey teal tho. Smelling coffee first thing in the morning, puppy breath, babies right after a bath, the ocean breeze, cinnamon buns right out of the oven, ok I better stop there lol! At the beach, in a mall shopping with my daughter,at a spa getting the works! 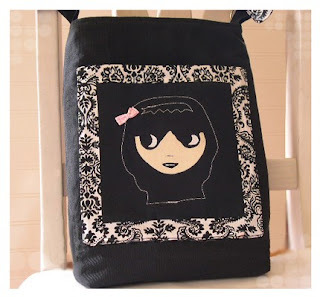 Reading historical mysteries, catching up w/internet friends,volunteering oh & designing a new bag of course! Gosh that is a hard one. Usually my current fav is my newest listing. 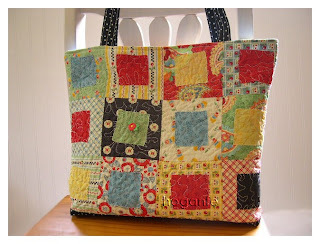 But my all time fav would be the patchwork recycled denim drawstring bag. 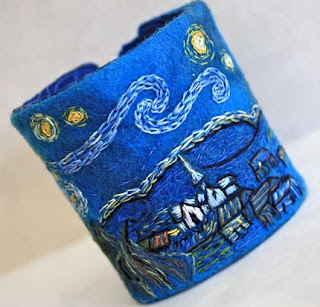 It was my fav because I designed it for myself & it looked great with my jeans & it was recycled. Favorite shop that isn’t yours? Actually I have many favs but I would have to say Waterrose is at the top. Rose's designs and skill is just outstanding! What has been the most useful lesson you’ve learned (about online selling) so far that you’d like to pass on to our readers? Promote - Promote - Promote ! Niftyknits: I have to agree with that! 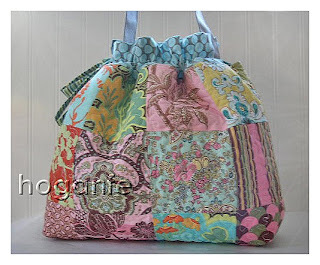 Mary of Hoganfe has been selling online since 2004 and loves custom orders! Right now she is offering Free Worldwide Shipping & a layaway plan on ready to ship items. New in 2010: Removable Camera strap slipcovers with two pockets & gadget bags in several sizes! Mary that is a beautiful view on your way to the post office! and all I can say is...awww thank you! ALASKA a place to dream of to me with allt the stories and movies about it. What a vewy Mary. What an inspiration to see that when you go to the post office! 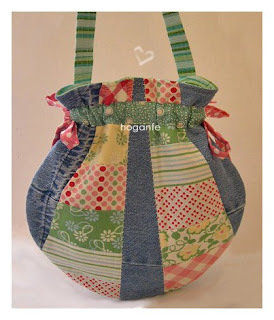 I love that recycled denim bag, the colors work so well together, it is so sweet! OMG what a gorgeous view! It's fabulous to get to know more about Mary! Another thing I can tell you about Mary is that she is a wonderfully supportive on-line friend! (We are twitter buddies.) A very lovely woman. Thanks for featuring her, Nifty!! Wow Heather thanks for doing this terrific interview about hoganfe! You sure have a wonderful talent! Wow! What a breathtaking view. Love the denim bag too.